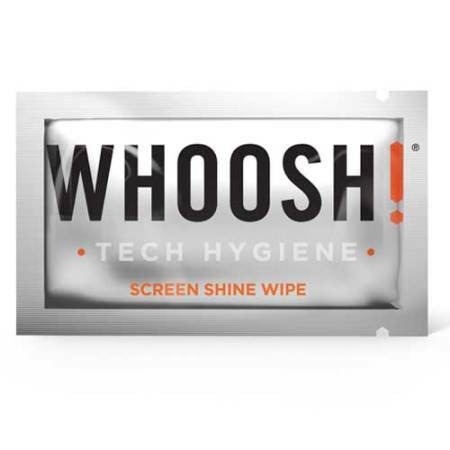 Ensure your devices are spotless from dirt and other unsightly marks with the Whoosh! Nontoxic Screen Clean Wipe. Its non-toxic and odourless formula ensures it is perfectly safe for you, your screen and of course your family. Even better, it is free from alcohol and ammonia. Once applied, your device's screen will enjoy a nano-thin invisible layer of protection that resists dust, dirt, oils and of course fingerprints. This ensures your device's screen looks the part, without unsightly smudges and marks spoiling the view. The Whoosh! Nontoxic Screen Clean Wipe can not only clean your smartphone screen, but also your tablet, laptop, PC monitor and more - allowing them to shine as if they have just been unboxed.